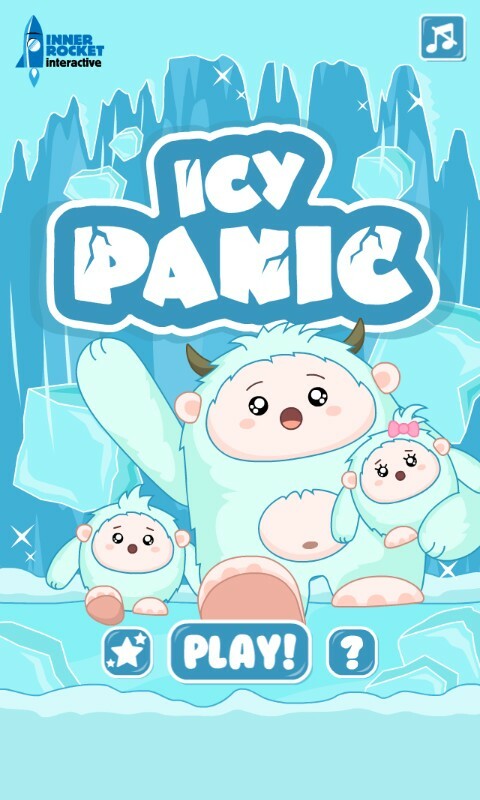 Icy Panic by Inner Rocket Interactive is an arcade block shooting game that puts you in a cave to save the Yeti's children. What a disaster!!! 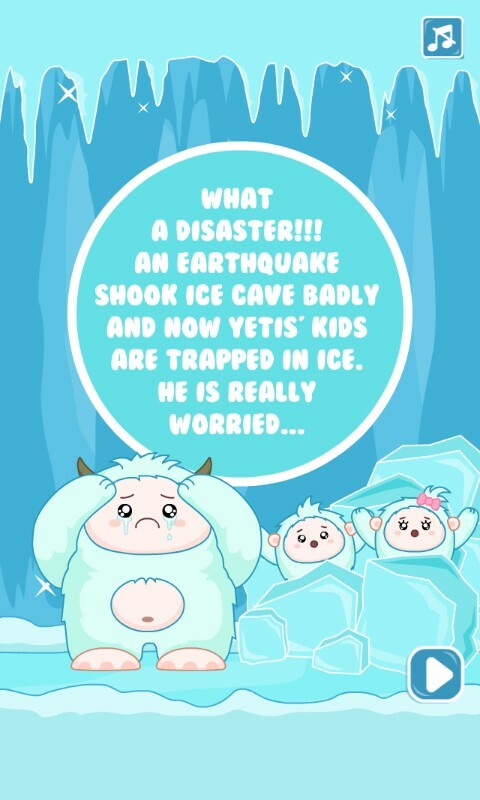 An earthquake shook ice cave badlyand leaved yeti's kids trapped in ice. Help Yeti to free them. Destroy ice cubes, pick power ups to survive panic in ice cave! Icy Panic is an arcade shooting game with a cute setting. 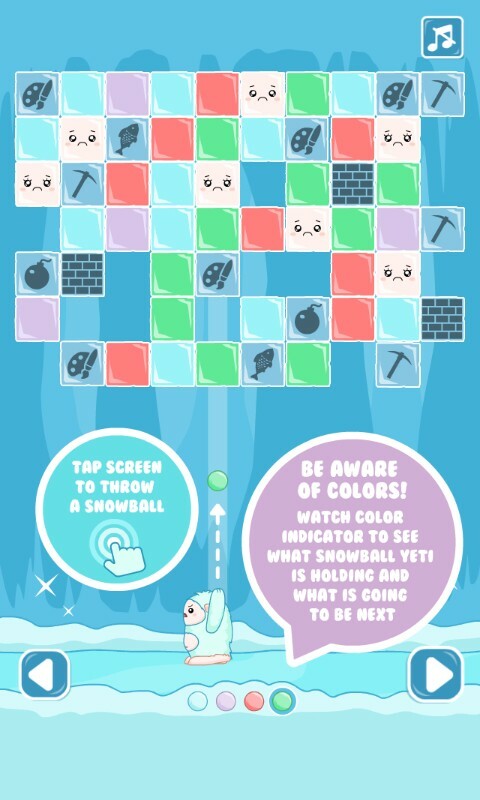 You are in charge of a Papa Yeti in quest to rescue his children in an icy cave! Icy Panic definitely is not your usual shooter game, but it is like a combination of shooter game and bust a move. Like Bust a Move, you will need to shoot the block of the same color to destroy them. There are several power ups that you can use to help you survive. Don't make a mistake or the ice blocks will decent... and once the block reach the bottom, you lose the game. One of the things that I would like to see different is the control of the Yeti. Currently, the Yeti moves automatically from left to right. For some reason, it would be interesting to see if the control more manual with arrow keys much like that of Magical Drop. Overall, Icy Panic has some interesting ideas and gameplay. The various achievement definitely gives the game more replayability. However, it would be more appealing if the graphics are more colourful and vibrant like the original Bust a Move.